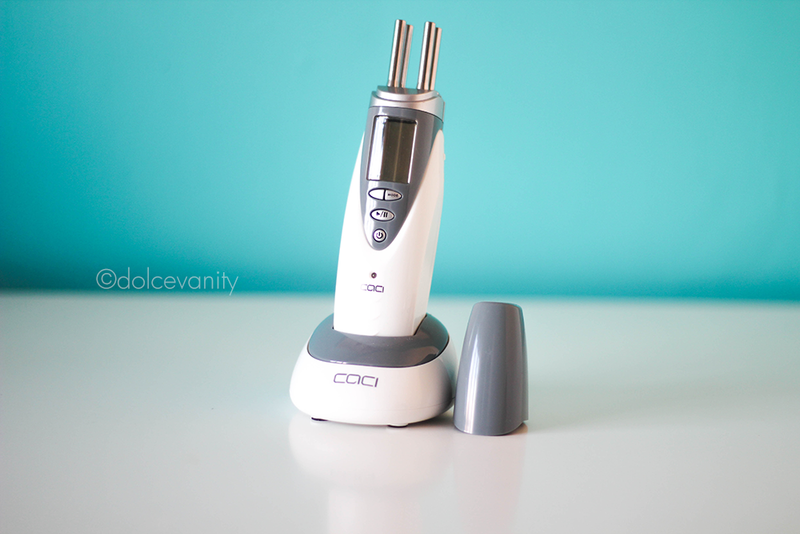 This my loves is the CACI Microlift Personal Facial Toning System, a-ha! After some extensive press coverage online & offline. I'm going to see for one month I'm going to be using this to see if I notice an improvement in my skins texture, tones & lift. It's also a good source for wrinkles, which I have zero of. Some of you might be reading this and be thinking, honey, you've lost your mind but who doesn't want to see any improvements in their skins texture and a nice lift and tone to the skin, I do. There's nothing worse than feeling as if your skin is just not as taught as it can be, I feel that around my jawline and cheeks. Included in this package are the electro buds full of instant skin firming serum that are inserted before each program. The Toning program is designed to help lift the brow line, plump the cheek area and firm the jawline. It can also be used to reduce wrinkle depth, this is done by relaxing facial muscles where repeated muscle contractions have encouraged expression lines. Also in the wrinkle program helps to soften the appearance of fine lines and improve skin texture. Resulting in a more youthful looking complexion. 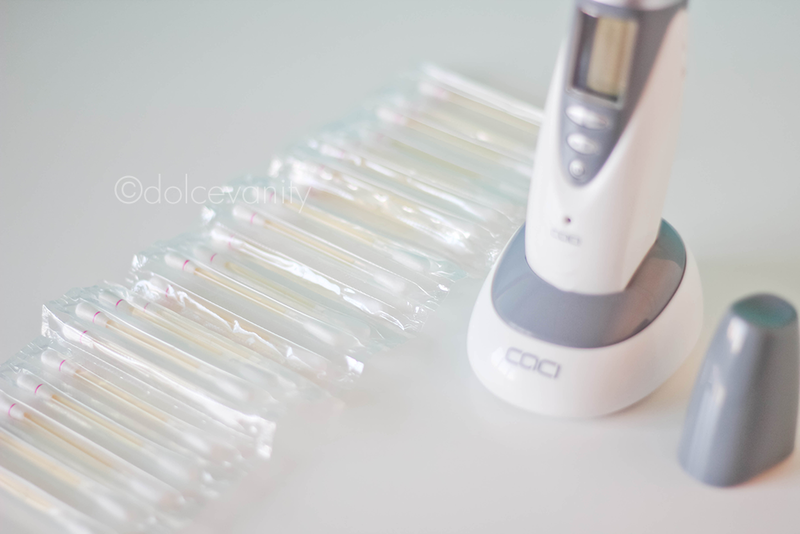 I didn't know that you could get a personal caci machine to use at home. I've seen them in salons. I've used the dermalift in the past which I think has excellent results. Will you be reviewing the results after the month?